La Pâtisserie des Rêves is a French pastry cafe that took Paris by storm with it’s modern take on the great classics of French pastry. 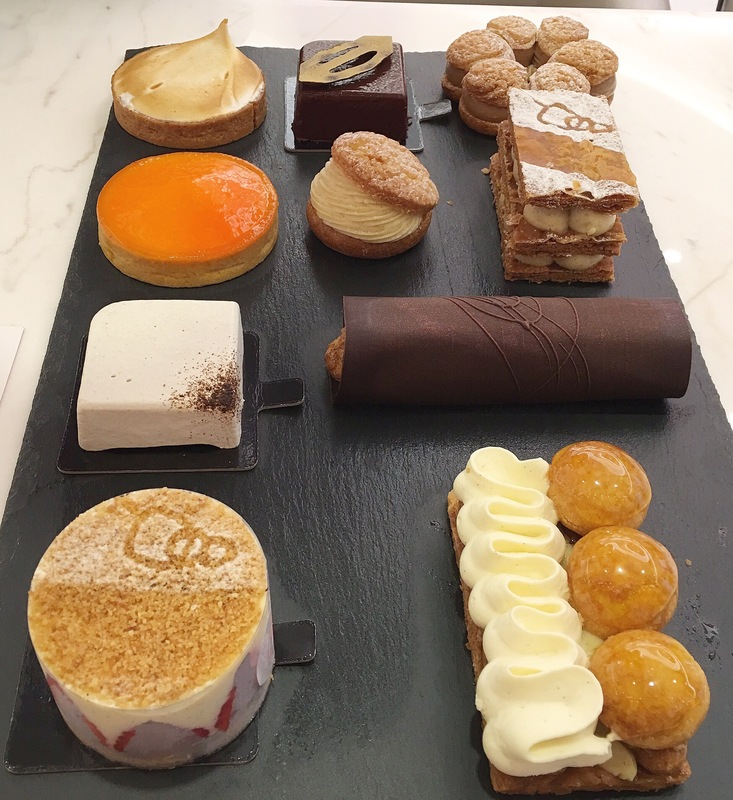 It is the brainchild of Thierry Teyssier, founder of Maison des Rêves and the highly talented chef Philippe Conticini, the pioneer of contemporary French pastry. 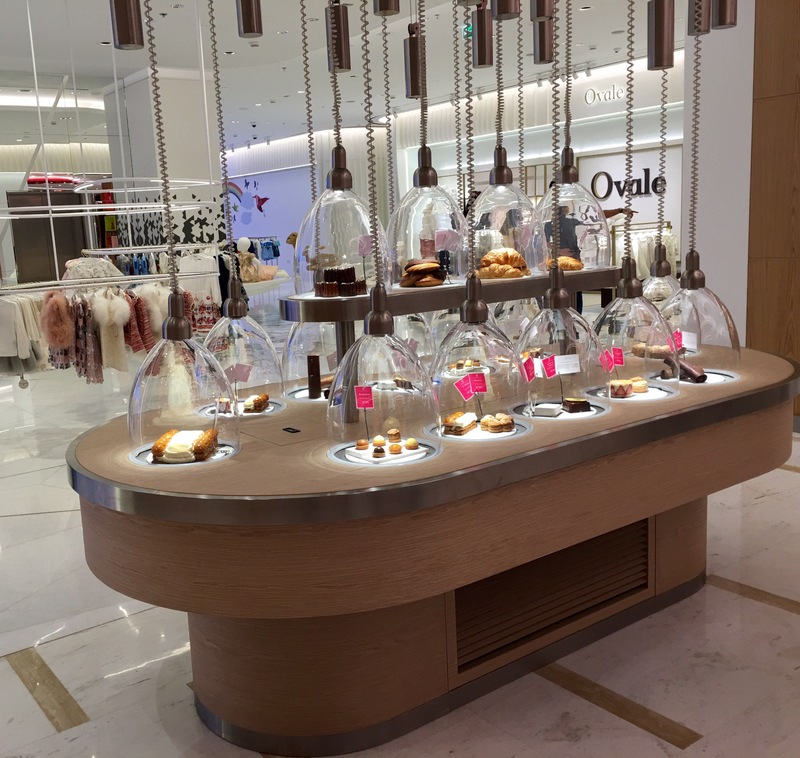 The first La Pâtisserie des Rêves outlet opened in Abu Dhabi, early this year. Recently, it opened it’s second outlet in UAE in Dubai. The Dubai outlet is situated in the 2nd floor of the Level Kids, CityWalk . It also has outlets in Paris, Milan and Tokyo. In early September, I was invited to a bloggers meet up at La Pâtisserie des Rêves. The cafe looks inviting with the theatrical settings of their amazing array of pastries in the bell shaped jars. La Pâtisserie des Rêves’s decor is aesthetically done up in warm colors. It boasts of a classy and chic ambience. It has a Parisian vibe. When I visited them in early September, they had not yet introduced their savory menu, but now it is available. On the day of the bloggers meet up at La Pâtisserie des Rêves, I sampled a variety of their Pastries and gourmet sweets. 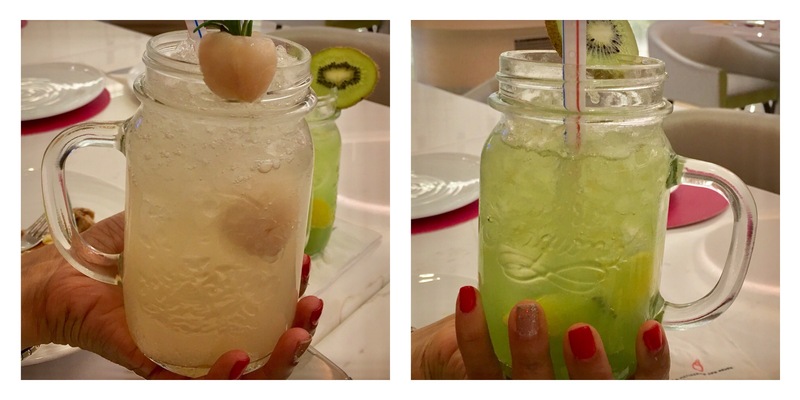 While the other guests had coffee or tea to drink, I tried two of other tasty and refreshing lemonade-Lychee and Kiwi lemonade. Next came the sampling platter filled with exquisite pastries. St. Honore had a crunchy puff pastry base and on the top it was layered with choux pastry. The addition of the mini cream puffs enhanced the taste further. Fraisier Vanille had two of my favorite ingredients-vanilla and strawberry. It was rich in texture and tasted delicious. I also sampled Grand Cru Vanilla and Grand Cru Chocolate. They were made with high quality ingredients. I especially liked the dark chocolate one, as it had a subtle flavor and a great after taste. Eclair Chocolat is an absolute must-try. It came covered in a chocolate sheet. Orange Tart had a zesty tangy taste. It was not too sweet. Their Choux Vanille Citron was perfect bite size cream puff which was soft from inside and slightly crunchy from outside. I have eaten the best Mille Feuille in Dubai at La Pâtisserie des Rêves. This French classic layered pastry tasted heavenly. Made with Choux pastry and filled with hazelnut and praline flavored cream, the Paris Brest was sinfully delicious. The Lemon Meringue Tart was bursting with fresh lemon taste. It was light, zesty and creamy. All their Pastries are freshly baked in-house. It is very difficult to tell which was my favorite one, as each one of the pastries I tried was deliciously different. La Pâtisserie des Rêves is a must-visit dessert destination for all sweet lovers. I can’t wait to come back and sink my teeth into one of their decadent Pastries.